Castles In The Air, trained by Richard Fahey, has had a victory by half a length from runner up Noble Citizen, with Himalya just a head behind in third place, in the Victoria Racing Club International Handicap at Ascot. 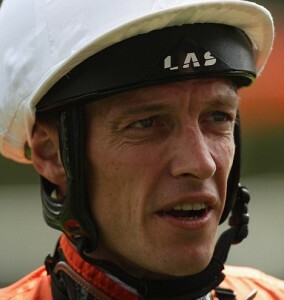 With a good ride by Richard Hughes, Castles In The Air overtook Yaa Wayl on the stand side with about half a furlong to go and hung on when put to the test, by a good challenge from fast finishing Noble Citizen. With a stumble exiting the stalls, jockey Hughes recovered well to guide a path through the stands side cluster, which consisted of 16 of the 21 starters. "Usually he travels better than that," Hughes said. "The ground was a bit quick for him and I was off the bit, hoping he would come back on the bridle. "I came from ten lengths off the leaders and in these races you have no chance if you're towards the front. You need a bit of luck in running. I got that today." Fahey, into treble figures for the season now, had Castles In the Air in the middle leg of an across the card treble. The trainer had his 100th victory of the season when Chiswick Bey won the first event at Newcastle then, not long after Castles In The Air made it a duo on the day, Fahey was also on target with Common Touch. David Simcock, trainer of Noble Citizen, said, "I'm gutted for the horse. He's run so many good races but this 7 furlong trip is right up his street. In the Hunt Cup he didn't quite get home and he doesn't seem to run his races at Newmarket. He's a solid horse and this is just frustrating."